Smithsonian/Folkways has placed many Cisco performances on YouTube. Lots of other fans have uploaded LP versions of variable quality as well. And now you can sample TV, and at least one film, performances as well. Thanks to all the dedicated searchers, uploaders, and eagle-eyed watchers. 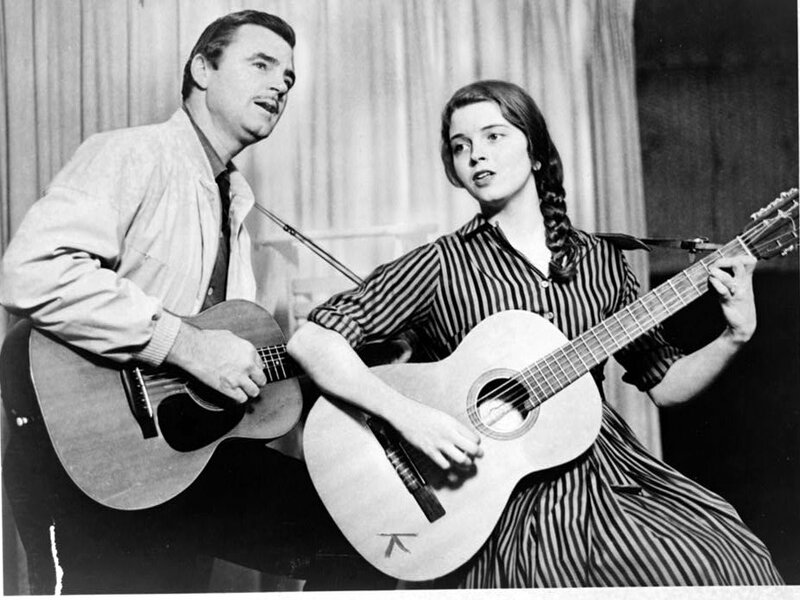 A publicity photo for the "Folk Sound, USA" show hosted by Cisco, showing him with the very young Molly Scott. There are so few photos of Cisco that every one is a treat. This show aired on June 16, 1960 and Cisco was warm, intelligent and a perfect narrator! Cisco often sang "I Ain't Got No Home" but now that has been remedied. Welcome to the small, but growing, Internet Home of Cisco Houston. This fine folksinger, the definitive interpreter of Woody Guthrie's massive songbook, as well as the genuine voice of the rails and plains, is an underappreciated giant. 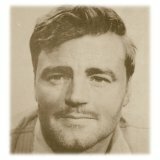 Our site offers photos, reviews, articles, essays and original writing about the life, career, and music of a great American troubadour, all in the hope of restoring an appropriate magnitude to his reputation. The folk music magazine Sing Out devoted a significant chunk of its October/November 1961 issue to the then recently deceased Cisco. Fine articles by Lee Hays and Bill Wolff convey a bit of the spirit of this man. Check the Photo Gallery for the pictures from that issue, as well as photos from all aspects of his life. He died way too soon, though had he lived longer it's difficult to imagine how he would have adapted to the deification of every guy who sang and played a little guitar. Cisco seems to have been a simple working man, hoping to earn a buck, get along with everyone, work for good and help a fella when he needed it. But the loss of this voice, right when folk music veered into the same self-glorification and pompousness that afflicted all the performing arts, is a shame. We can't bring him back, but we hope to do a little something to keep his music and his persona alive. No Film Everywhere I Look! While there are references to films Cisco made in several places, IMDB, which is about as comprehensive a source as can be imagined, does not list any performances by Gil, Gilbert, or Cisco Houston. A couple of years ago, the word came out that Jim Longhi's entertaining book was going to be filmed. We waited eagerly for news, but have now learned that it too is a no-show. If you're interested in what is not to be, click Here. A new photo has appeared...sent to us by an overseas fan. Cisco in London in 1958. Click on it (far right) to see the full-sized version. We welcome any suggestions, contributions, or questions. You send it, we'll consider using it. Find Contact Info on the Who Are We page. Help us spread the word. And the music. And thanks for visiting. Note: Throughout the site you will see thumbnail images. These all are links to larger versions of the same image.